Although your first reaction would be to take a fever or pain reliever along with the flu vaccine – you may want to avoid this action. Common pain relievers dilute the effect of the vaccine. Click here to read the views of the University of Rocherster Medical Center. Certain flu vaccines are not recommended for all ages. For example, CDC recommends that one brand of inactivated flu vaccine called Affluria, should not be given to children 8 years of age or younger. A related vaccine was related with fever and fever – related seizures in young children in Australia. You may want to discuss with your doctor options suchas a brand name Flumist, which is a flu vaccine via a nasal spray. Flumist includes live flu virus, unlike traditional flu vaccine which includes killed flu virus. A healthy immune system is important when receiving a live flu virus. To read more about nasal spray flu vaccines on the Centers of Disease Control (CDC) site click here. Sometimes, people prefer a flu vaccine delivered via a nasal spray instead of a needle or a patch of latex – coated microneedles. Discuss options with your doctor. Can you get the flu after getting the flu vaccine? Yes, if you are exposed within a short period of getting the vaccine. The body’s immune system needs time to learn how to recognize the new flu vaccine composition. You may want to know that if your vaccine composition (Read more) is the same as the flu vaccine you took last year. If it is the same, you may not get a fever after you take the flu vaccine, since you already have the immunity. However, if it is different, then there is a small chance you may get a fever, since your body’s immune system trains to defend you. Also, if you are exposed to a new flu strain not included in your flu vaccine composition then, you might get the flu. This year, there is a quadrivalent flu vaccine option (see below) unlike previous years which included only the trivalent option (see below). Every year the types of flu strains that infect us is different, some more virulent than others. The World Health Organization (WHO) tries to recommend the best cocktail of flu virus strains to protect us. However, the flu virus is able to outsmart the human by evolving a new strain to break down our immune defences. Adverse Effects: There are adverse effects from the flu vaccine and information on this is available from your physician or on local government health sites, such as the CDC in the USA and the World Health Organization (WHO) worldwide sites and the global action plan. Flu Vaccine Composition: The Northern Hemisphere and Southern Hemisphere have different patterns of flu infection. The WHO decides the flu vaccine composition twice a year. In February for the Northern Hemisphere and in September for the Southern Hemisphere. Why am I feeling fatigued after getting my flu vaccine? The quadrivalent flu vaccine composition is not available yet for children. Children and the Flu Vaccine Should my baby get the flu vaccine? 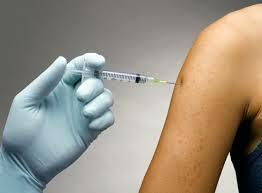 The flu vaccine was traditionally made in eggs and hence the article on egg allergy here. However, with the awareness of egg allergy rates, there has been an effort to find an alternative to grow the flu vaccine. In the 2013-2014 quadrivalent flu vaccine composition lies the answer since it is developed in insects and not eggs. Should I get the flu vaccine this year? The 9th annual symposium will be held October 3-4, 2013 at Sydney Australia to discuss the newly emerging influenza strains, and the latest vaccine research in Australasia. What is Flu or Influenza and what does the Flu Virus look like? The Flu Virus is a tiny micro-organism that manages to outwit the human by evolving a new strain every year to evade the human immune fortress. The Flu Vaccine was developed to fight the pandemic flu of 1918 (see history of the flu vaccine) and since then, researchers have realized that to fight the flu viruses ability to change itself, a new matching vaccine composition has to be developed every year. The story of this wily virus and the research war against it, is worth reading. When you have the time, do send a thank you note to the flu scientists who have devoted their energies towards avoiding the next flu pandemic. Do keep in mind, that not everybody gets the flu. Some will never get the flu and they hold a clue which researchers have to discover. However, people can die from the flu, as shown by the numbers in the devastating 1918 pandemic and in subsequent decades. The flu vaccine can prevent most of the deaths. Your posts are always informative and useful. I love it, so I nominate you for the Liebster Award. For instructions, follow the link. http://wp.me/p1xtW9-BU Happy Holidays! 20th Annual Meeting for The Organization for Human Brain Mapping (OHBM) in Hamburg, Germany, June 8-12, 2014.